HART Services Kyogle Barbara Dando 66323751	 Toyota Coaster W/C access Some Wednesdays Most Thursdays Most Fridays Most Saturdays All Sundays LR licence. 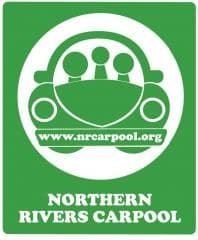 Drivers must undergo an orientation and be authorised by NRCT to drive. Cost of orientation is $40. This needs to be booked in at least 2 weeks prior with the fleet manager and undertaken in Wollongbar. (One-off hires are not practicable). NGO’s, Community groups. From Kyogle you can board the train to Sydney or Brisbane. YOWI provides affordable transport for groups of young people age 12-20 who live in the Lismore, Kyogle or Richmond Valley shires of Northern NSW, Australia. YOWI is a flexible service that can arrange and subsidise travel for eligible participants to attend drug and alcohol free social, sporting or recreational events.